ActivityRelevant reporting for analysis and export. 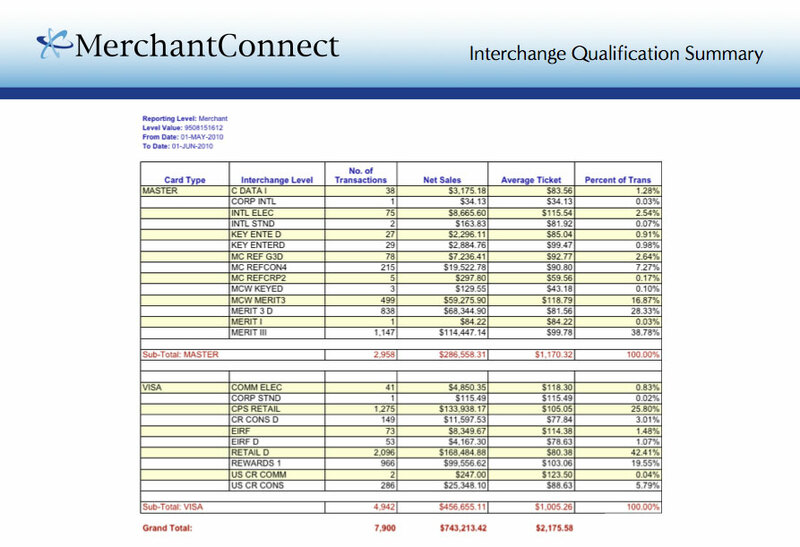 Our MerchantConnect reporting solution is designed to provide you with critical information that can have a big impact on your bottom line, including: settlement & batch summaries; online case management; interchange summary; and transaction search. 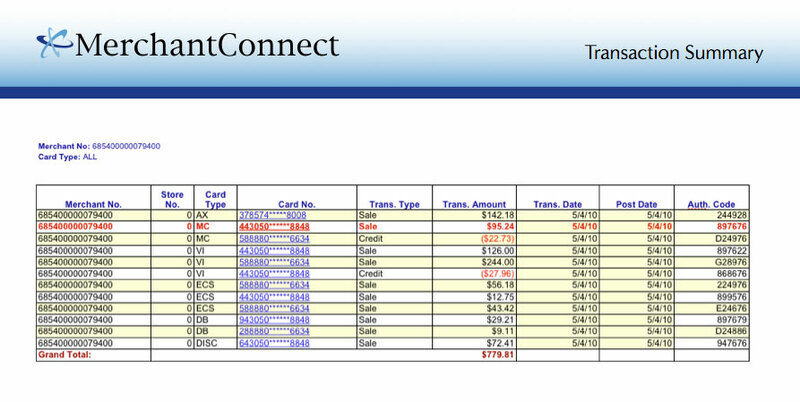 You can quickly and easily access payment information. 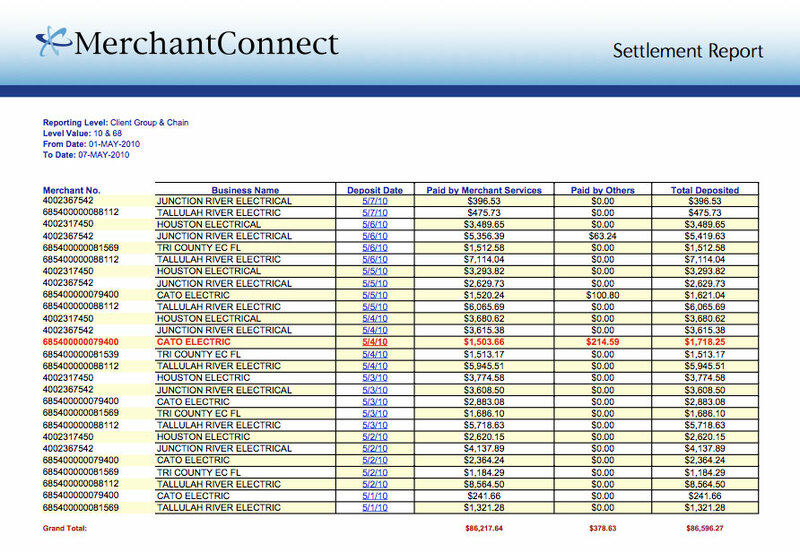 Our OCM solution allows you to easily receive, view, respond to and manage all your chargeback and retrieval activity through this optional service available with our online MerchantConnect Premium reporting tool. 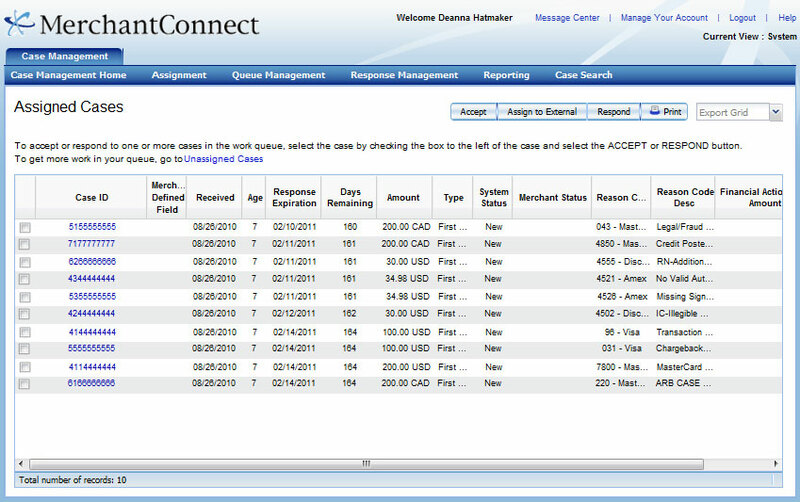 You can reduce costs associated with retrieval requests, and prioritize and manage case activity.